Potomac Valley Watercolorists artists from the greater Washington metropolitan area will exhibit original paintings at St. Andrew’s Episcopal Church, 4000 Lorcom Lane, Arlington, VA, on Saturday, November 7, 3:00-7:00 p.m., and Sunday, November 8, 12:00-4:00 p.m.
A wide variety of sizes and styles (including both framed and unframed paintings) will be available for sale (cash, check or credit card). Admittance is free, refreshments will be provided and exhibiting artists will be on site. It will be my honor to award the prizes at this exhibit. 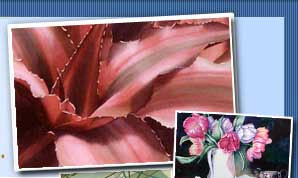 Potomac Valley Watercolorists (PVW) is a regional organization of water media painters who have been selected for membership through a highly competitive process. Members have exhibited extensively at the local, national and international levels. Easton's hard working South Street Gallery has a terrific exhibition hosting the work of the members of the American Women Artists (AWA) organization. AWA is a non-profit organization dedicated to the inspiration, celebration and encouragement of women in the Arts and its current president is the very talented DC area master plein air painter Bethanne Kinsella Cople. The exhibition at South Street is a juried show that received 750 entries from which 64 works by non-member artists and 46 works by AWA members were accepted. The exhibit ends November 8, 2009. Old Town Alexandria's Torpedo Factory hosts Art Outlet's Ofrenda 2009, a spectacular Halloween celebration in the tradition of the Mexican Dia de los Muertos (Day of the Dead). This year's celebration offers a festive art exhibition with a masked ball and a parade. This is Art Outlet's third annual Ofrenda. Join up at the historic Market Square near City Hall at 301 King Street for the Ofrenda parade. The parade will start at 7 pm and end at the Torpedo Factory Art Center . Look for the drummers. Come in your costumes, bring puppets, shrines, and noise makers. Free and Open to Anyone! E-mail us at ofrendaparade@artoutlet.org for more information. Revelers are invited to come to the Ofrenda reception, parade, and masked ball dressed Day of the Dead style or decked out in Halloween finery. Live music including rock, swing, and blues will be interspersed with belly dancing, tribal drumming, and aerial silks trapeze performances throughout the event. Guests can participate in the Masked Ball and exhibition by bringing personal remembrances – ofrendas – to contribute to the artist-made public altar honoring those who have left us. Altars, shrines, art, & multiple performances throughout the night. Public altar by artist Andrea Collins. Anyone can place ofrendas (offerings) throughout the event. Does that all sounds like a great artsy thing to fill your Saturday or what? MOCA DC in Georgetown is clearing their storage space and they have lots of new and used frames, framing pieces, matting of all sizes, shapes, etc, glass and even works of art in all sizes that has been there for years. Check it out October 25 to 28; please call 202.342.6230 to come view. Today is the anniversary of the Battle of Agincourt, where in 1415 a modern assessment estimates that 7,000 - 9,000 English archers and soldiers faced 12,000 French soldiers on St. Crispin's Day on this epic battle of the 100 Year's War. Contemporary English assessments of the times had estimated 6,000 for England and 20,000 - 30,000 for France. History and legend credit the Welsh bowmen under Henry V's command for swinging the tide of victory to the English king. Legend has it that this battle is where flipping the finger(s) as a sign of contempt emerged. As the English army was composed mostly of longbow men, and the archers needed his first two fingers to use the longbow, it is claimed that the French threatened to cut the fingers off the English longbow men. In a contemptuous gesture, before the battle started, the English showed their two fingers to the French to show them that they still had their fingers. That legend would explain why in Britain the gesture of flipping the bird still uses the first two fingers of the hand reversed. 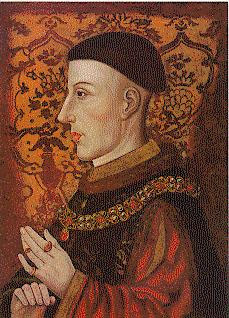 The battle is, of course, the main theme and the center piece of the play Henry V, by William Shakespeare.